The former community of Ross Acreage in Cloverdale is similar to the Dutch Settlement. Both communities developed as a result of the early industrial development in the area. In this case, it was Anderson Brickyard, Edmonton Lumber Company, Gallagher-Hull Meat Packers, Vogels Meats, and the Hardstone Brick Company that provided work for the small population. 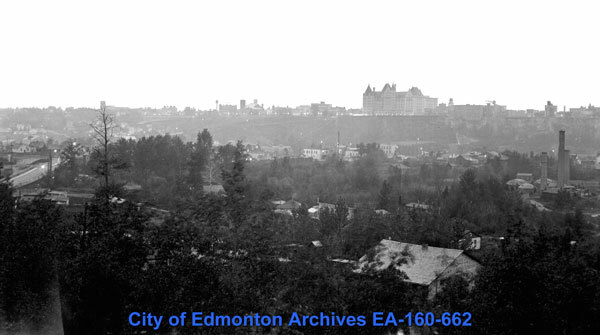 The 1915 flood ravaged industry in Cloverdale, and as a result the area became a blue-collar residential district. "Unhindered by architectural guidelines and building codes, homes were malleable assets, built in stages, frequently lifted up and moved around, eternal works-in-progress. Building materials were scavenged from the abandoned infrastructure of the preceding industrial era, and local handymen and women recycled it into a hodgepodge of homes of myriad shapes and sizes." 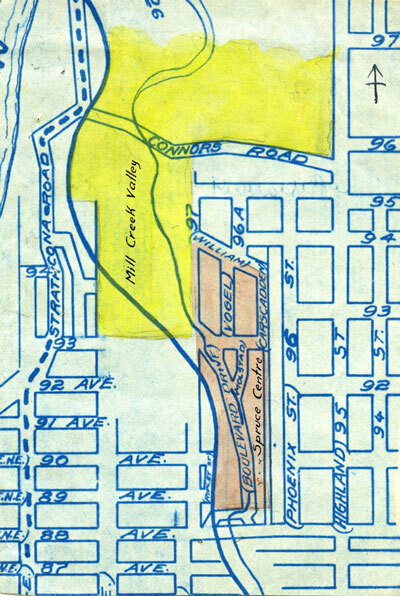 In 1929 the City rezoned Ross Acreage to parkland. At the time a number of people were living in the area, paying ground rent to the City of $2 per month. 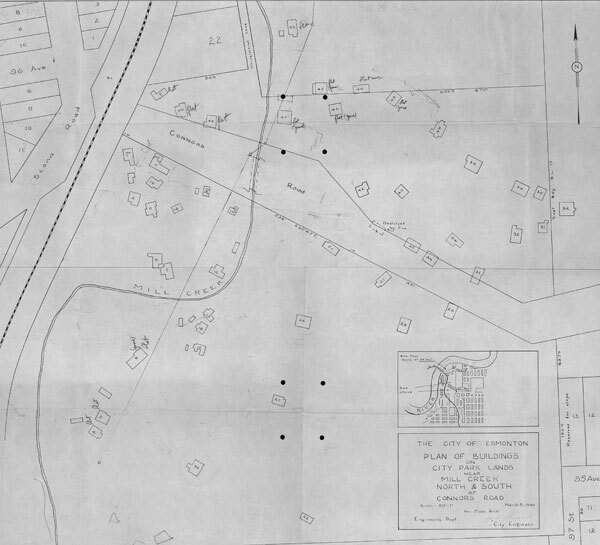 Dr. T. H. Whitelaw, Medical Health Officer was asked to investigate the residences, and he discovered 32 rustic dwellings near Mill Creek, and 25 better built homes further north. Most were without water service or fire protection. The City offered water service to the residents, and some accepted, but new construction in the area was no longer allowed in the hopes that the community would eventually die out. In 1949 the Ross Acreage community was still around. After two separate fires, the City grew concerned about safety and a survey of the area was done. It found 156 occupants (50 of which were children) living in 53 residences. The following year the City began work on Connors Hill Road. It was re-routed to avoid dangerous curves near the Low Level Bridge, and widened to ease commuting from Bonnie Doon to downtown. 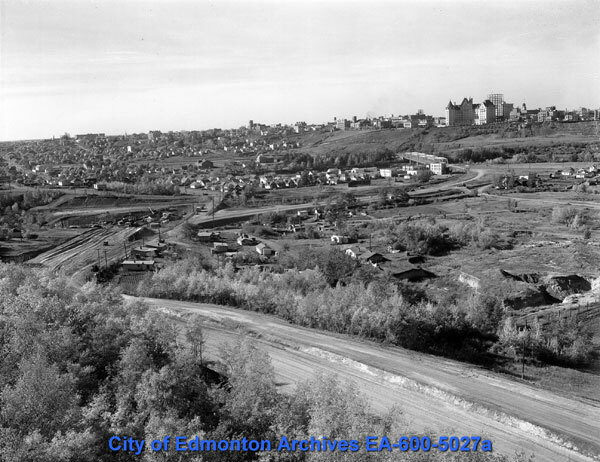 In June, 1950 the families living in the affected area of Ross Acreage were given 30 days notice to vacate, and some families were given financial assistance to find new homes. 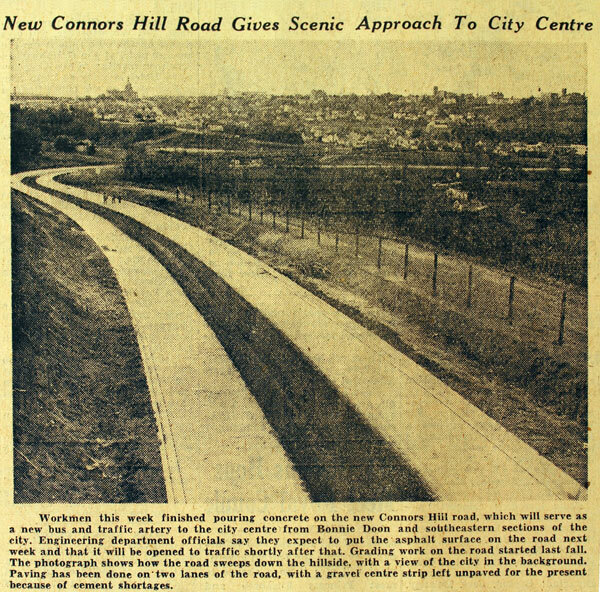 On July 7, 1951 the Edmonton Journal ran a photo on the front page of the newly finished Connors Hill Road. 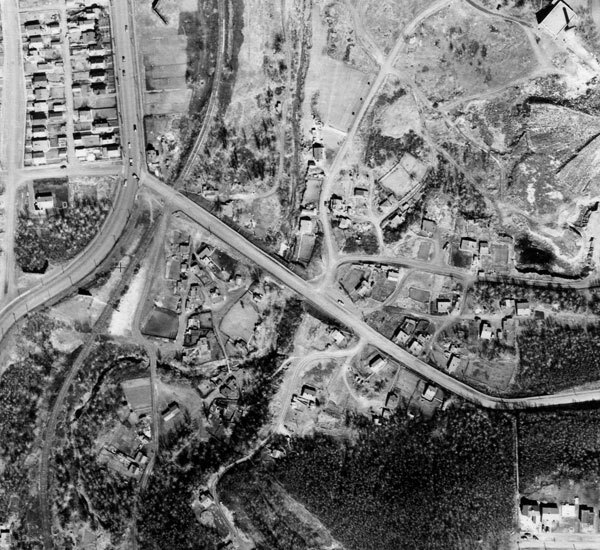 By 1956 the rest of the homes in Ross Acreage were demolished, with the exception of one: No. 47 Connor Road. This little green house with a red roof was built during the First World War. It was purchased by Samuel Rawson in the 1920s and he and his wife Violet raised their children there. When he died in 1939 Violet and her son Lambert continued to live there. In 1950 when the City was evicting her neighbours, City Engineer A. W. Haddow agreed that she could stay in the home for the rest of her life. 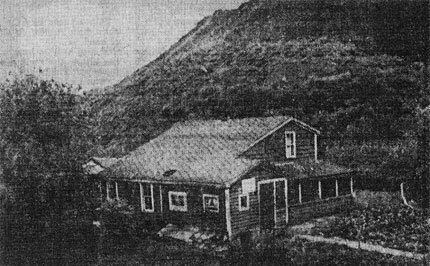 She passed away in 1965, and the last home in the Ross Acreage was quietly demolished. 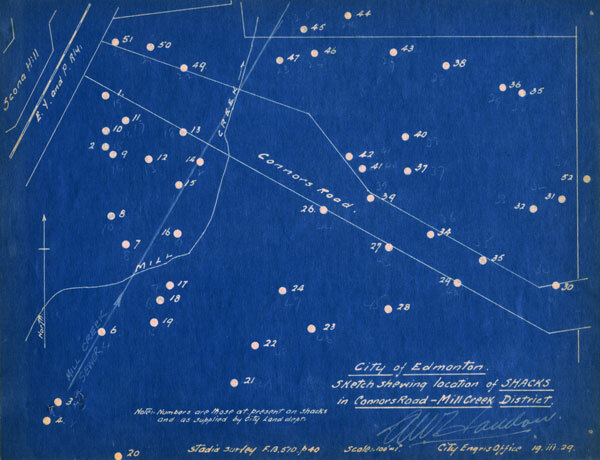 This is the report, submitted in March 1929 by Medical Health Officer Dr. T. H. Whitelaw, describes the conditions of the ground-rent community of Ross Acreage. This article from the Edmonton Journal described 47 Connors Road – the last home standing from the former Ross Acreage community. 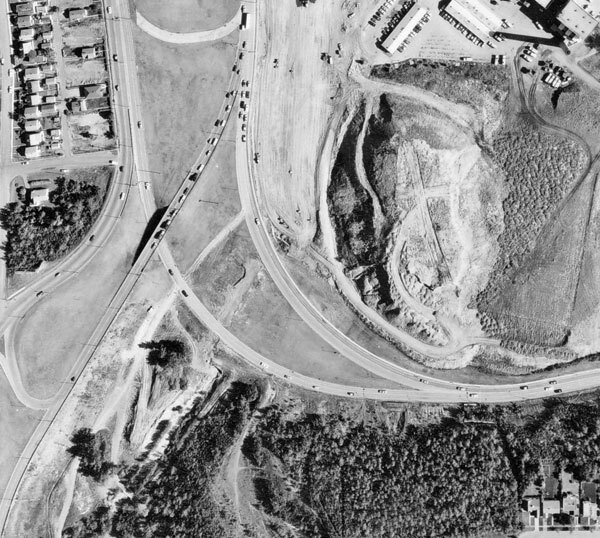 Aerial 1969 by Range Aerial Service Ltd.
For over 100 years people in Edmonton have bucked the ordinary, living in tents, shacks, old mines, and homes they built themselves on private or public land. Read some of their stories.